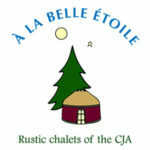 The Colonie Jeunesse Acadienne (CJA), a summer camp for Acadian and Francophone children, exists thanks to the dedication of Les Dames patronesses de la CJA, a not-for-profit organization founded in 1962. Originally formed as a women’s group, this organization works to promote the French language, community values, and Acadian culture among the young people of the region. They have been operating the CJA summer camp since 1968. 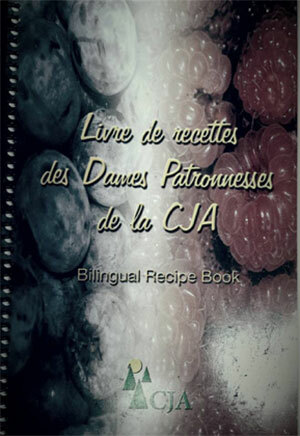 In order to raise the money to start and operate the CJA, the ladies of the Dames patronesses organization published a cookbook of their favourite recipes. It had a first printing of 3000 copies, and became hugely popular. It is still in print today. 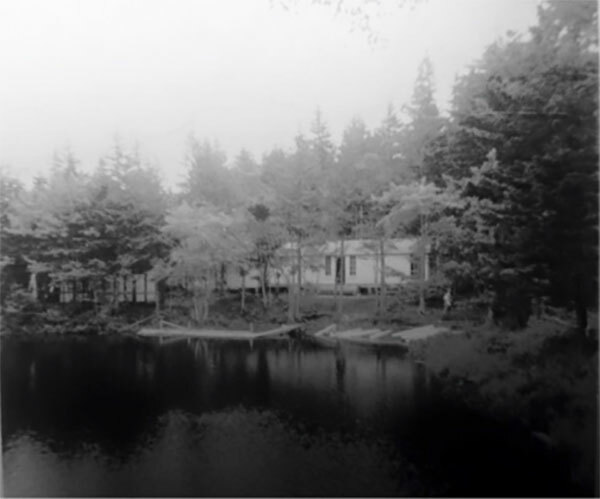 The original summer camp on Lac à Victor operated for many years, but eventually the deteriorating buildings prompted the community to make a change. For a few years, the CJA operated as a day camp without sleeping accommodations and relocated to the university campus. The summer of 2016 has marked the beginning of a new era with the construction and outfitting of two bunkhouses and a new lavatory building in Le Petit Bois. The bunkhouses are modern all-season yurts, each equipped with a wood stove and sleeping accommodations for 18 people. The circular yurts are contemporary versions of the traditional nomadic tents of the central Asian plains. The yurts are made of lightweight wooden lattices, covered with a layer of insulation embedded between two waterproof skins. 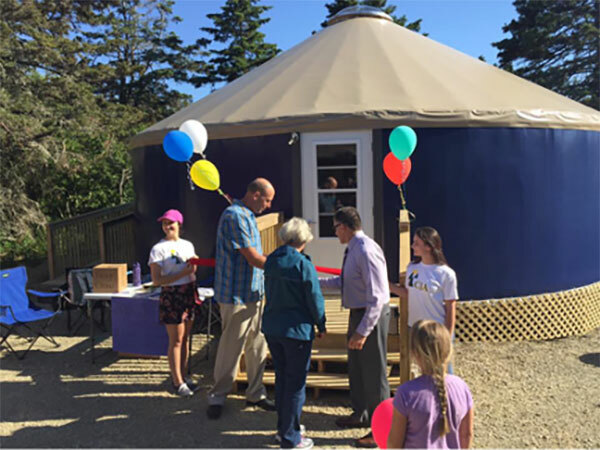 The CJA camps run during the weeks in the summer, but the yurts can be rented for summer weekends and during the spring, fall and winter months. Copies of the Dames patronesses cookbook are available at the Boutique Berlicoco in the Rendez-vous de la Baie Visitor Centre.